With all those stars around town, where are the very best places to spend your cash at? 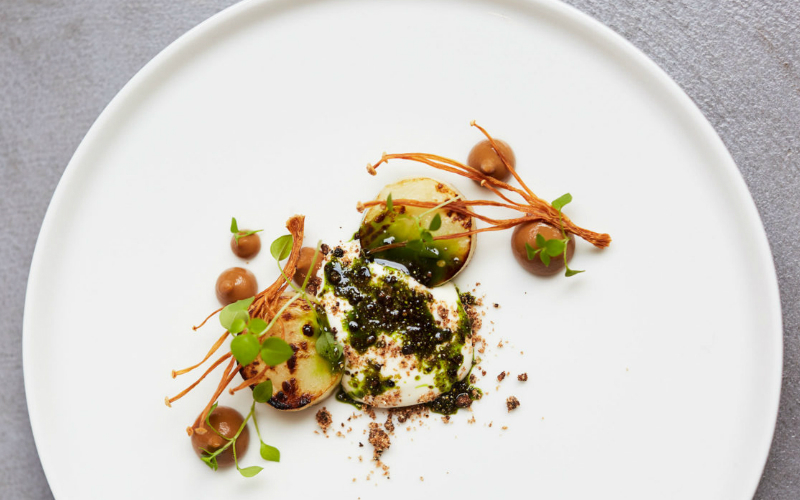 In the 2019 guide there are 71 Michelin Star restaurants in London: 58 with one star, 10 with two stars, and three with the ultimate three stars, the highest accolade a restaurant can receive. 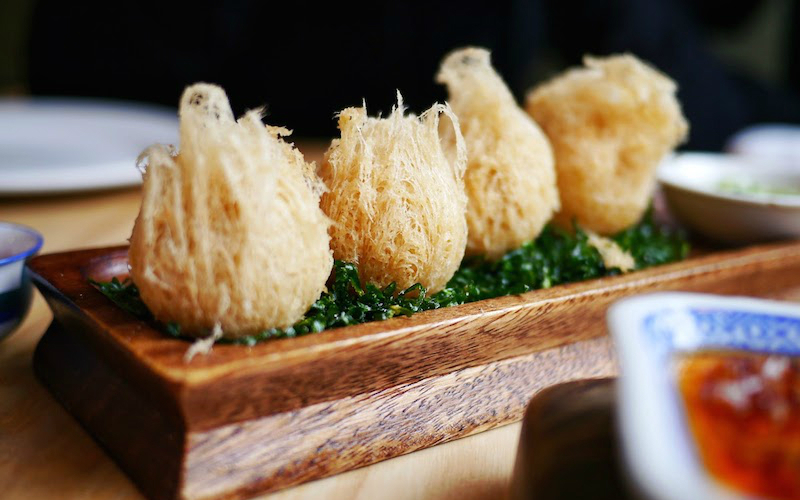 Although Michelin is traditionally associated with stuffy French fine dining in hotel restaurants, it’s gone to great lengths to diversify over the past few years and the variety of Michelin Star restaurants in London has now been greatly improved. Heading out for a Michelin starred meal in London no longer means white tablecloths. 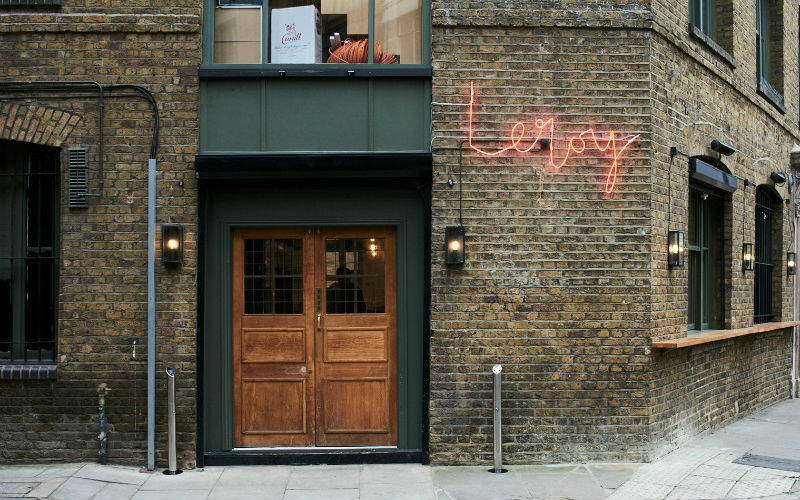 Some of our favourites are relaxed wine bars such as Leroy in Shoreditch, which turns out incredible food in totally relaxed surroundings. Nearby Lyle’s takes things a step further with a minimal design that could easily double as an art gallery. 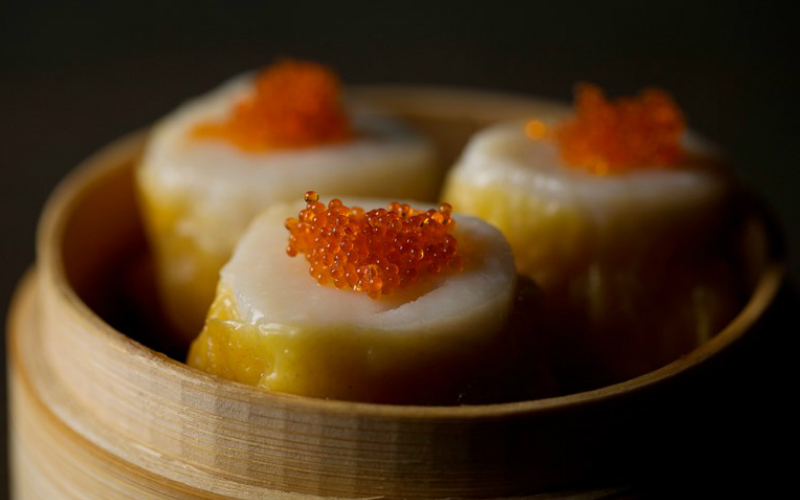 More cuisines are represented too, with Soho dim sum parlour Yauatcha being one of our all time top London picks, and Gymkhana and Trishna flying the flag for high end Indian food in London, both with a star apiece. These probably aren’t the kind of places you’re going to eat out all the time, as at dinner the prices can get scary pretty quickly. Many Michelin Star restaurants in London will have amazing set menu deals at lunchtime or even at weekends in some cases so it’s well worth having a look at the different options available on the restaurant’s website. It’s a great way to get a taste without breaking the bank. Although a Michelin Star should be a guarantee of a certain level of quality, sometimes those anonymous inspectors do make some strange decisions. 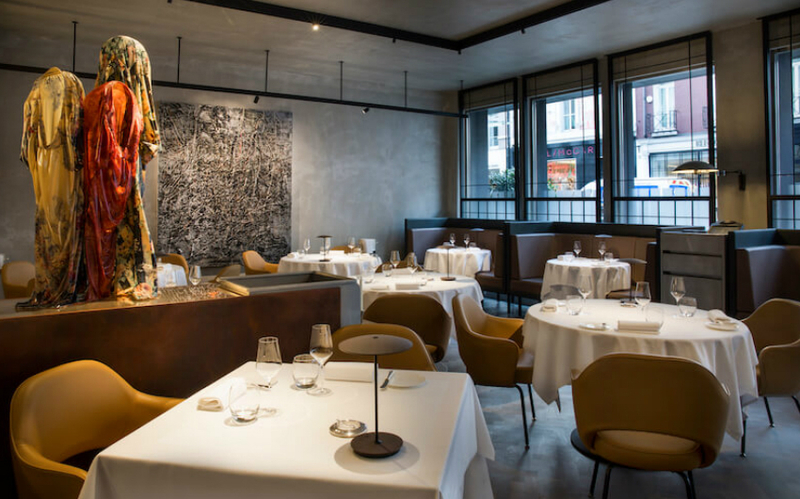 Just because a place has a star, it doesn’t mean it’s necessarily worthy of your cash, so we’ve rounded up our pick of some of the best Michelin Star restaurants in London to help you find the location for you next blow out meal. Simon Rogan, the chef behind two Michelin-starred L’Enclume in the Lake District, is back in London with Roganic – and it’s one of the best restaurants in London at the moment. Michelin thought so too and awarded it a Michelin Star in the 2019 guide, just a few months after it opened. Each dish of the multi-course menu is genuinely a beautiful creation to look at, backed up by impressive technique and flavours too. The menus change reglularly of course but you might be treated to some of the highlights of our epic lunch there, including a salty bowl of seaweed custard with caviar (better than that sounds we promise! ), plus a fresh asparagus spear served with a bone marrow hollandaise. The only proper meaty dish was 21-day-aged Cumbrian pork and it was certainly worth waiting for – two slices of loin covered in translucent lardo, served with a sweet carrot puree, fresh carrot and white broccoli. A fantastic restaurant from a fantastic chef. Since Dinner by Heston Blumenthal opened in 2011, it’s gained two Michelin stars and has gained a very respectable place at 36 on the World’s 50 Best List. 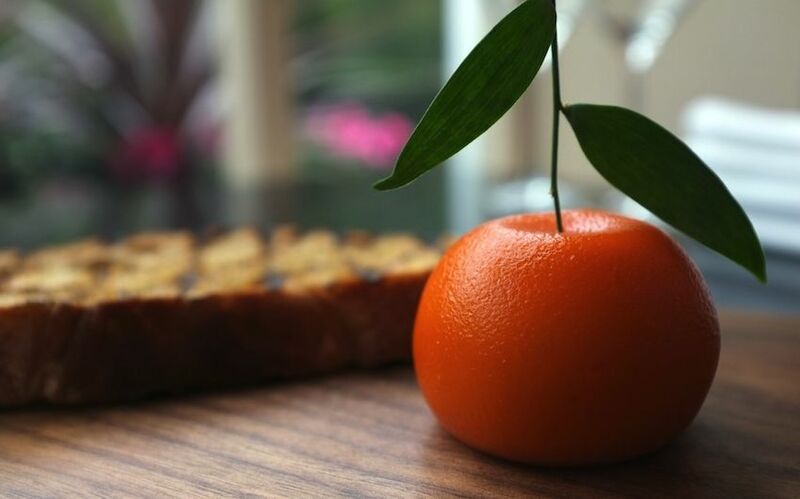 This being Heston, there is some culinary magic involved in a lot of the dishes but it’s certainly more pared back than what you’d find at The Fat Duck. Although very modern, many of the dishes are inspired by historical British recipes, delving back as far as the time of Henry VIII. All this might make you think that Dinner by Heston is very hard to get in to and not exactly easy on the wallet, and you’d be right – but take our tip and get in there at lunch time (Mon – Fri) where you can have the set lunch menu for just £45, and you’ll have a much easier time getting a rezzie too. Even though Pied a Terre has been around a long time (26 years to be precise) it’s always kept things fresh by having a series of talented young Head Chefs in the kitchen, the latest of which is Asimakis Chaniotis who is just 27. We began with a light but richly flavoured starter, Isle of Mull scallops with yuzu, celeriac and autumn truffle and next was a lentil and root vegetable casserole with gammon, perfect for the cold dark nights in London. Of the two main dishes, beef with bone marrow, spinach and enoki mushrooms was our favourite but the Cornish plaice with courgette was also excellent. To round it all off we had a beautiful chocolate pavé with chilli and stem ginger. Pied a Terre is a London classic but one that is constantly reinventing itself to stay relevant in the city’s ever changing restaurant scene. With great food, wine and service, long may it continue. When Phil Howard left The Square, where he was head chef for 25 years and held two Michelin stars, he did a good job of leaving it such capable hands. The new owners, MARC Restaurants, have given the place a huge refurb and installed new chef Clément Leroy, who has a very impressive CV having worked at some France’s best restaurants – and he now has a star of his own at The Square. 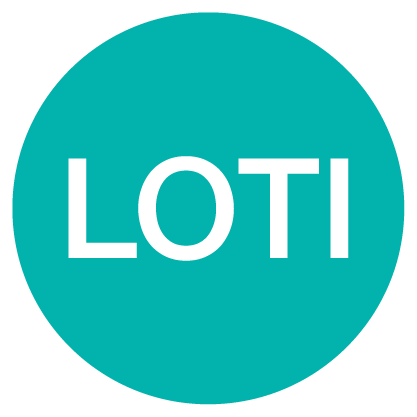 We went all in for the full tasting menu and matching wines and it was one of the best dinners we’ve had of this type for a long time, with genuine care and thought put into the dishes. The approach of not using too much butter or cream definitely helped too! Highlights for us included the cured Cornish mackerel with leek, pink radish and chive; the roe deer with Jerusalem artichoke and mushroom praline; and the warm chocolate Grand Cru. 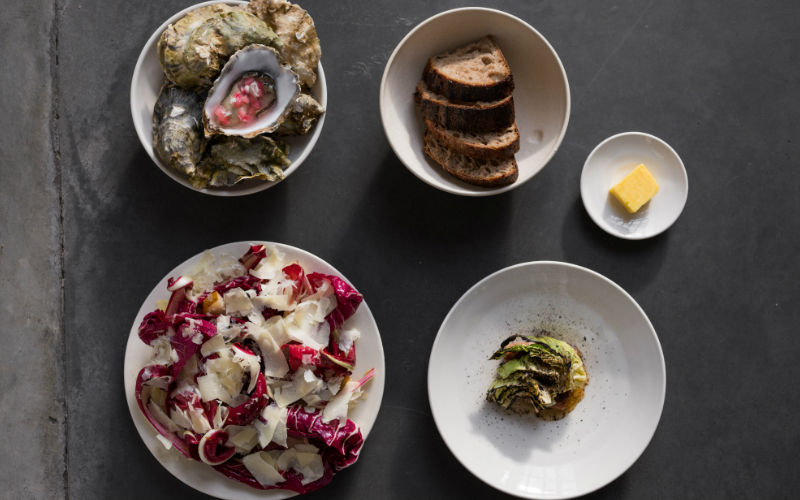 Lyle’s has built up a stellar reputation thanks to its elegant, seasonal British food but if you don’t want to plan ahead, you can also drop in for small plates and a glass of wine from their bar snack menu (as long as one of the six bar stools are free of course). It is a changing menu, but if the mussel, garlic and spenwood flatbread or the smoked eel with cabbage and seaweed are on, they’re must-orders. It’s not exactly cheap, but as a Michelin-starred pit-stop it’s pretty perfect. 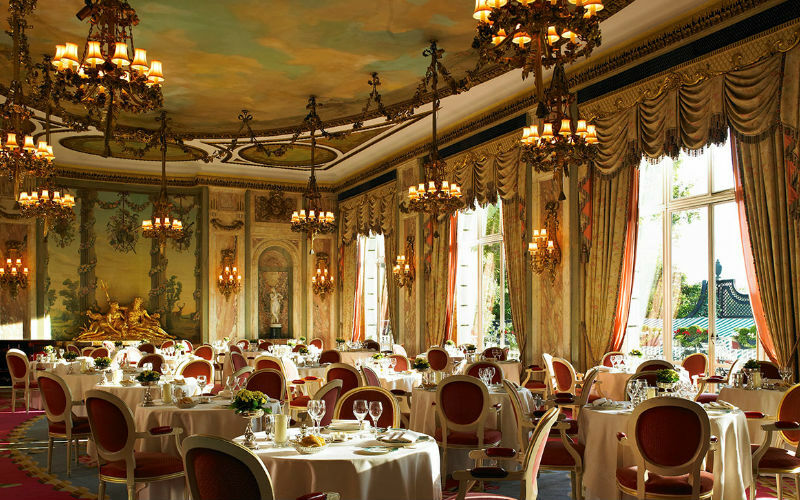 London has its fair share of iconic, world-famous hotels but The Ritz arguably trumps them all. The grand Grade-II listed building on the edge of Green Park has been around since 1906 and as you step inside, it feels as though not much has changed since then, with its decadent furnishings modelled on the grand old hotels of Paris. Nowhere does this feel more true than the dining room with its chandeliers, thick curtains, painted ceiling and classical sculptures – there aren’t many dining rooms in London like it and although it’s not exactly the design-style of today, it’s an amazing place to spend an evening; a pure piece of dining escapism. Despite its reputation for all things grand and luxurious, The Ritz never held a Michelin star until it was awarded one in 2016 under the stewardship of Executive Chef John Williams, who joined the hotel in 2004. 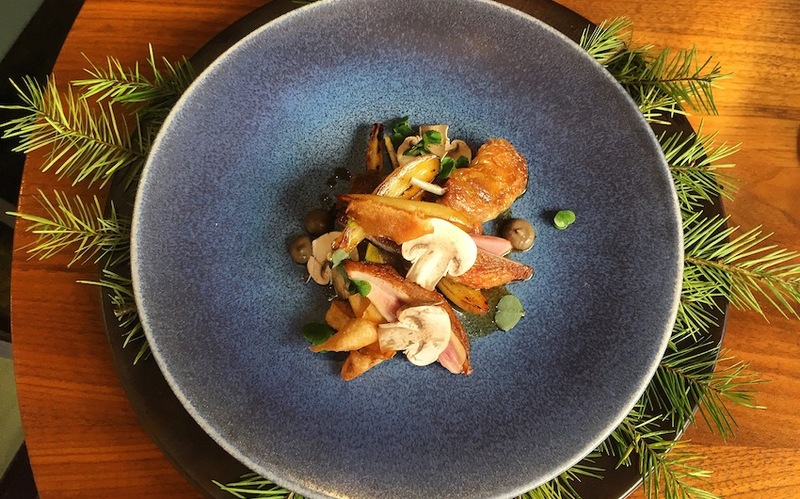 John’s refined menus are befitting of the space, beautifully presented classic French dishes that still feel fresh and modern enough to hold their own in London’s innovation-hungry dining scene. We went by for dinner and selected the Menu Surprise, consisting of six seasonal courses selected by John Williams, which at £105 is by no means bad value by Michelin London standards. 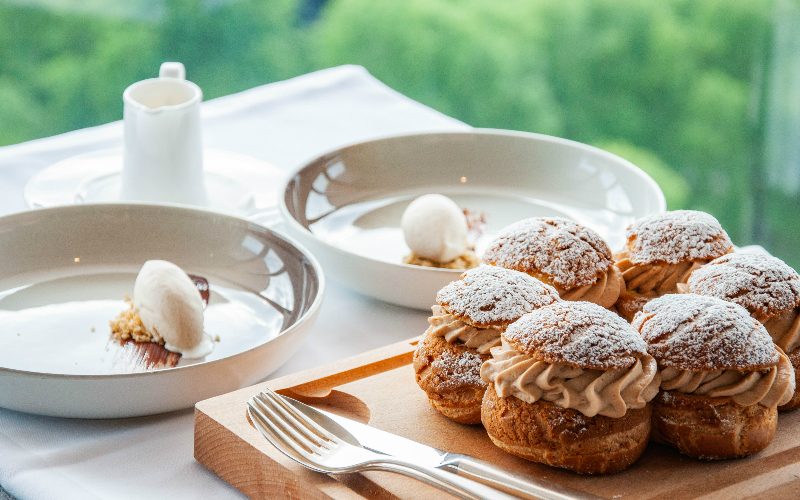 Michelin-starred Galvin at Windows on the 28th floor of the Hilton Park Lane – yes the views are pretty epic – has just got into the brunch game with a brand new Saturday menu from chef Joo Won. For the restaurant’s first ever brunch offering, Joo has gone all out with a real mix of dishes, from French pastries and sourdough toasts to classic eggs and lunch plates with an Asian twist. Joo’s Super Breakfast, with soft polenta, Burford Brown eggs, maple cured rib eye bacon, stir-fried chili oyster mushrooms and Anne Rose boudin noir is the way to go if you fancy an elegant take on a traditional brekkie. If you’re in more of a lunch mood, the teriyaki fillet of salmon is packed full of flavour but still light enough for you to have room for one of the puds, and with classics like chocolate fondant and Paris-Brest on the menu, you definitely want to save room. 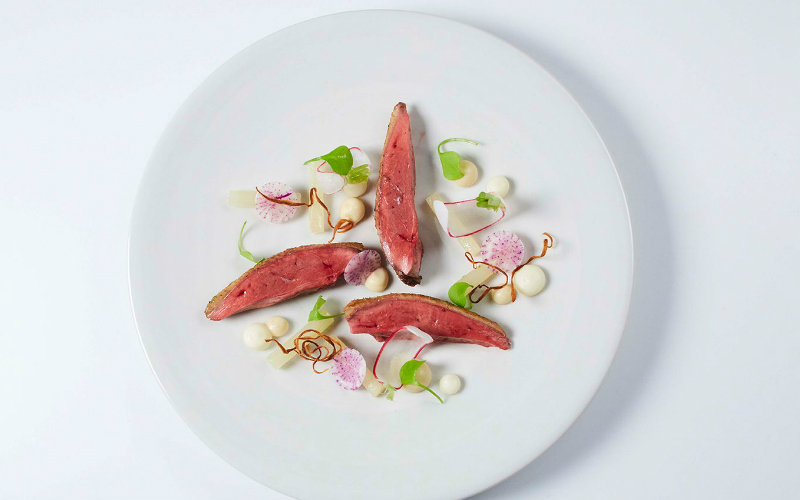 Anne-Sophie Pic has five Michelin-stars across three restaurants already to her name. Her London opening, La Dame de Pic, shares its name with her Paris restaurant and she couldn’t have picked a more stunning location for it; the newly opened Four Seasons Hotel at Trinity Square. The building used to the Port of London Authority back in the day and the whole place is very grand indeed. La Dame de Pic itself is no exception, with big windows, high ceilings, and glamorous art deco design touches. And now she has another Michelin star to her name with her London restaurant. Helene Darroze took up residence at The Connaught way back in 2008, securing two Michelin stars within 3 years of opening. Still going strong, the restaurant serves fine dining food with French flair, each dish beautifully presented (and instagram worthy!). 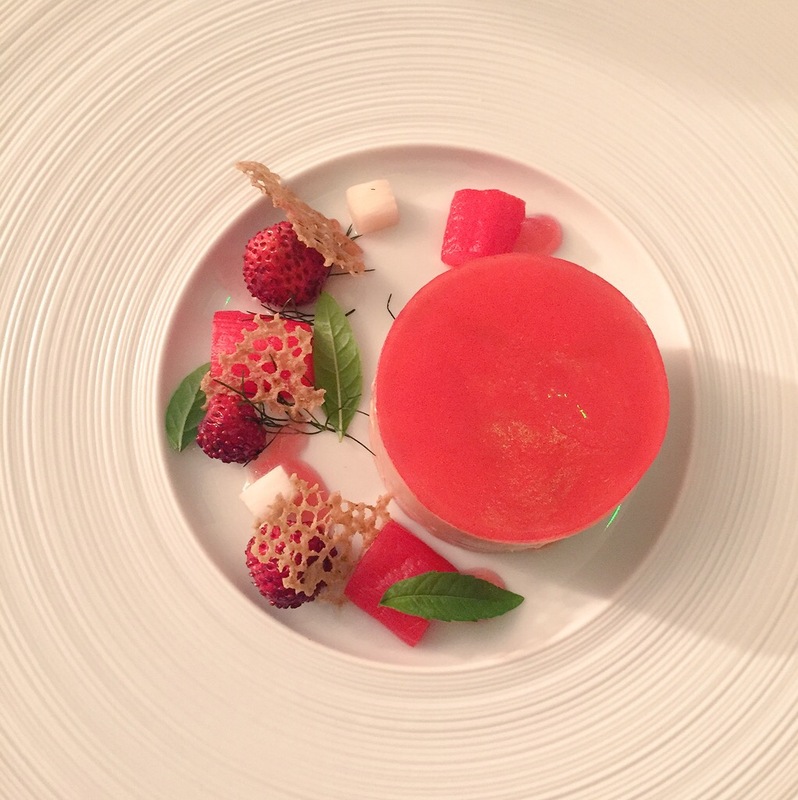 Each course is cleverly thought out and perfectly executed, both in terms of flavour and texture. Fresh crab and avocado was topped with salty caviar; rich Foie gras came with a thin disk of fruit jelly; and coco bean was served alongside meaty cubes of eel and shimeji – a small Japanese mushroom. Lobster was accompanied with asparagus, seaweed and botargo and then came the juicy sweetbread with more asparagus, morel mushrooms and white wine. If you’re looking for somewhere to celebrate, want to treat yourself or just fancy a blow out this place needs to be on the list. 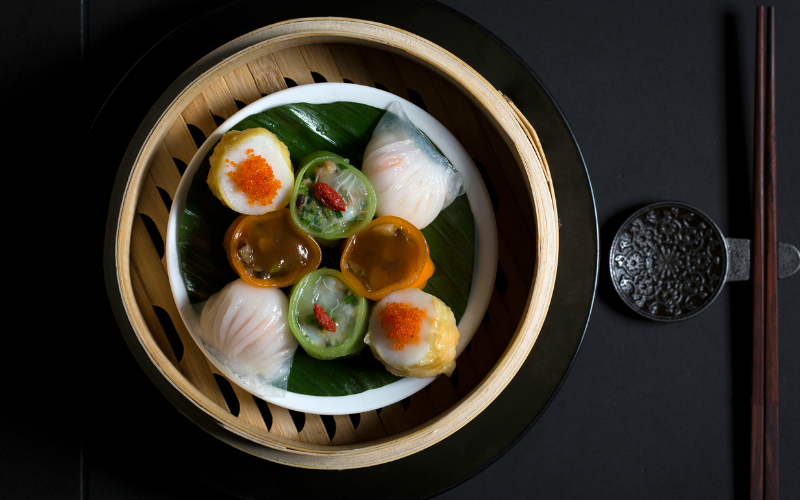 It’s no secret that Yauatcha is one of our fave restaurants in London and we could eat Dim Sum all day long, so we suggest diving straight in to their Taste of Yauatcha set menu. It gives you a good flavour of the place and includes THOSE Baked Venison Puffs – but whatever you do save room for those Macarons! Michelin-starred Trishna takes you on a journey through India with plates inspired by the south coast, rich seafood dishes from Goa and a range of puris, bhajis, behls and idlis, and you can go for seafood, veggie or meaty tasting menus. This is anything but your average curry house and is one to save for a real treat. 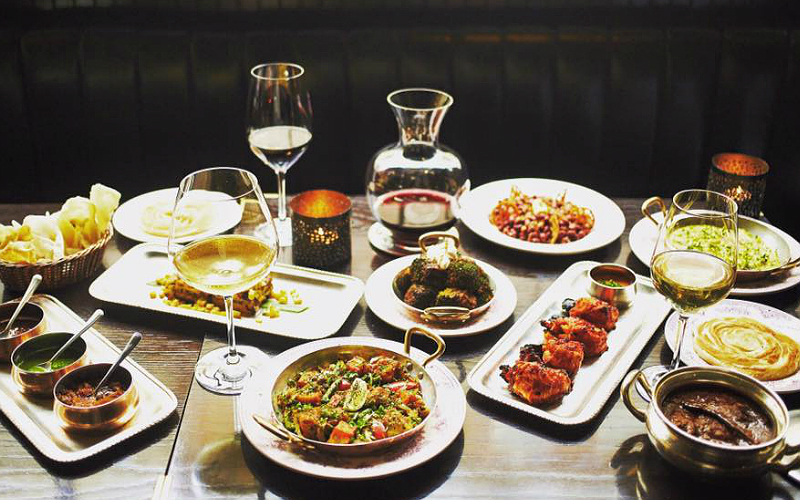 Modelled after the sporting clubs of the Raj, with lots of dark wood, rattan, marble tables and hunting trophies, Michelin-starred Gymkhana is a tad more upmarket than your average curry house. 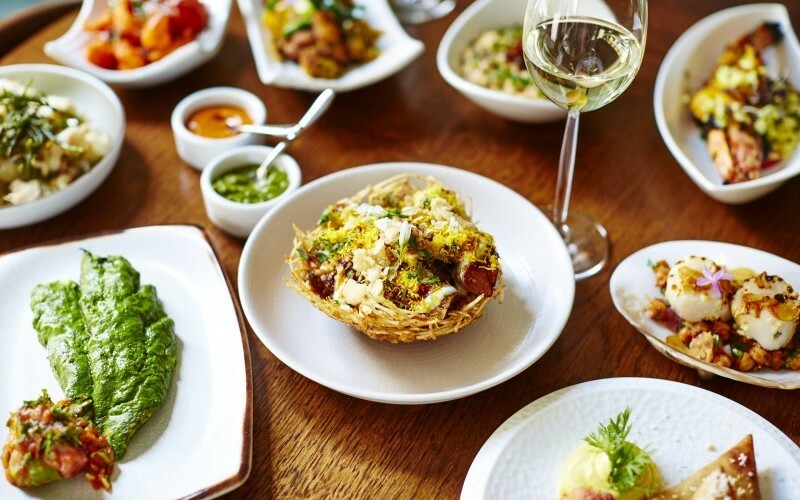 It offers boldly spiced sharing dishes and a strong focus on game…you don’t see dishes like Kid Goat Methi Keema, Gilafi Quail Seekh Kebab, Sofiyan Roe Deer Chop and the famous Wild Muntjac Biryani at any old place. There’s even a seven course tasting menu if it really tickles your fancy. Gymkhana doesn’t hold back on the booze either, re-creating a 17th century Indian punch house on the ground floor where you can sip on iced punches, pink gin and tonics, IPAs and spiced cocktails like Quinine Sour, Fusion Lassi and Kohli Margarita. Fancy feasting indeed.